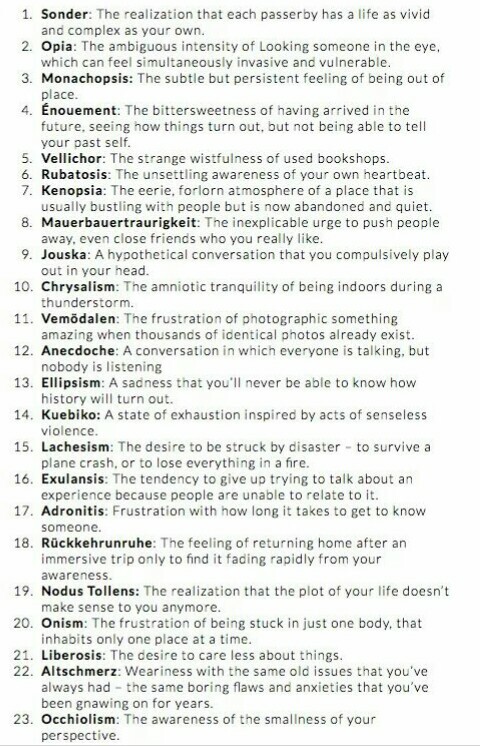 Check out The Dictionary of Obscure Sorrows. This entry was posted in philosophy, poetry, spirit, writing and tagged beyond words, language, melancholia, neologism, The Dictionary of Obscure Sorrows. Bookmark the permalink.